In 1729, Ireland was suffering from religious, political, and social strife as well as a famine. The poor were extremely poor, often having to beg for food or money in the streets. 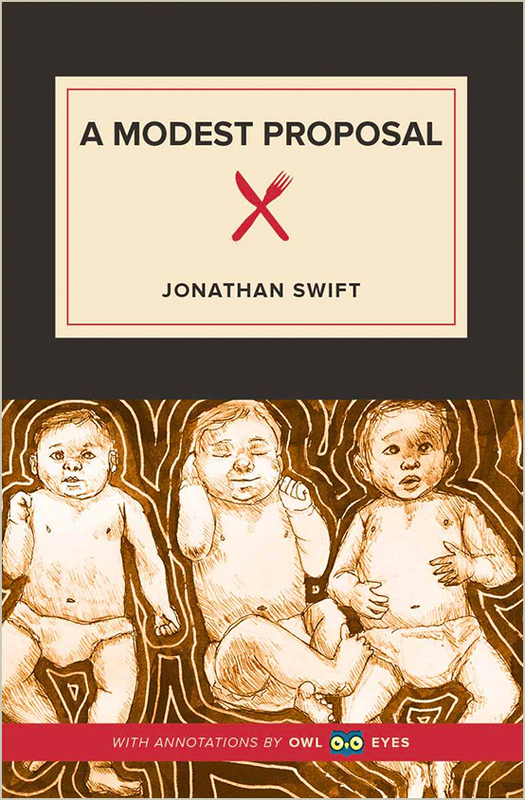 Just what was Jonathan Swift’s “Modest Proposal” to fix this problem? Eat the children. Seriously. In this inflammatory, satirical essay, Swift proposes that the starving poor of Ireland sell their excess children to the rich as food. Swift assumes a hyperbolically heartless tone that mocks those with negative opinions of the Irish poor, namely the Irish rich, politicians, and British officials. His aim was not to solve the problems in Ireland but to expose the ridiculousness of quick-fix schemes proposed by politicians and officials to relieve all of the social problems in Ireland. Through his biting sarcasm, Swift mocks these people and persuades readers to pity the Irish and hate the speaker. Swift’s essay is an early example of Western satire that uses rhetorical devices, such as example-based argumentation, in order to criticize a social or political phenomenon. These tactics have been taken up by many authors after Swift and can even be seen as the basis for satirical news publications such as The Onion.